TurboTax SnapTax is an app for iPhone and iPod touch aimed at the 59 million Americans whose tax returns are simple enough that they can file either a 1040a or 1040EZ. 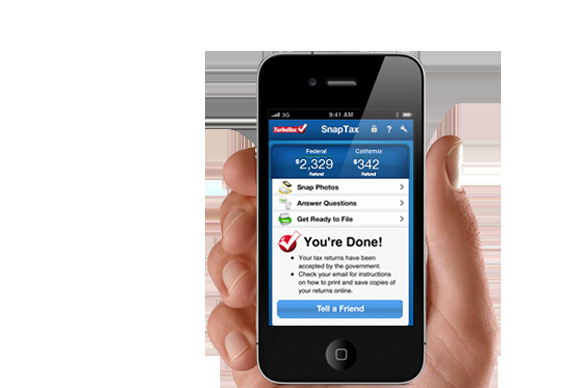 Designed to file your taxes in about 10 minutes, SnapTax handles your annual tax task almost perfectly. Quick and EZ: TurboTax SnapTax makes it quick work of your 1040a or 1040EZ, helping you to start and complete your taxes in about 10 minutes. 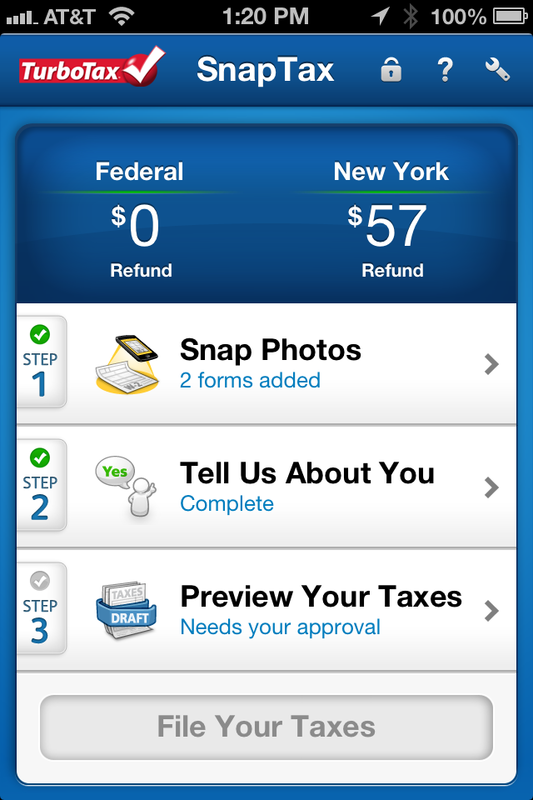 The name SnapTax refers to both the ease with which you can file a return using the app and the way you’re able to enter your data into the app: Snapping a photo of your W-2 using your iOS device’s camera. Intuit’s time estimates are no joke; I was able to work with my daughter and complete her return—which consisted of two W-2s and some basic personal information—well within the estimated timeframe. Although snapping photos of her W-2s and automatically importing her information did not always work as expected. W-2s come in a two orientations, portrait and landscape. SnapTax was able to capture the data in the portrait oriented form without a problem, but was unable to do so with the landscape orientated form. This is not just a SnapTax problem, as every iOS tax app I’ve tried has the same issue. The upside is that it only takes a couple seconds to enter your data by hand. No matter what, you’ll always want to double check your data before filing taxes, as fat-fingered iOS typing or dodgy OCR on some forms can result unexpected results. 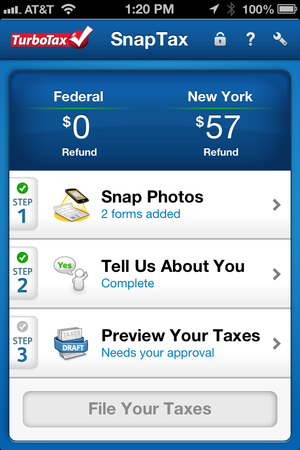 Once your return is complete SnapTax displays your final information—how much you owe or what your refund will be—and offers you the option of filing your return using the app. This is where I found the SnapTax to get a little sticky. Filing a return using the app costs $25, about half of my daughter’s expected refund. There is no option for printing forms from the app, nor can you email yourself a copy of the return so you can mail it to the IRS. Your only alternative is to transfer your SnapTax data to Intuit’s Web app, where you can print and file your return for free. So, if you’re not expecting too much money or if you think you’re going to owe money to the IRS, you may want to start at TurboTax.com instead. SnapTax is an excellent option if you file a basic tax return, but if you want to avoid paying the app’s filing fees you are better off using Intuit’s Web app instead.